Beautiful watch, perfect for nurses! So pleased with this purchase! 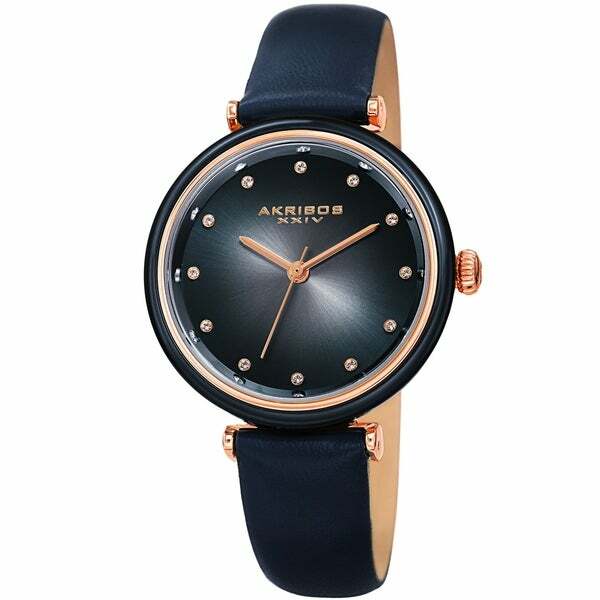 This elegant Akribos XXIV timepiece for women features a beautifully polished case with a radiant sunray dial. A luxurious beveled bezel surrounds 12 sparkling crystal markers. Powered by a quartz movement, the leather strap will sit comfortably on your wrist! The first time I wore the watch the crystal fell off. Sent back waiting for a replacement.